1. For the filling: In a bowl mix together the crushed rusks, the lemon juice, olive oil, garlic and parsley; set aside. 2. For the fish: Lay a prepared vine leave (see note below) on a flat surface and place one fish in the middle. Add a teaspoon of the filling. 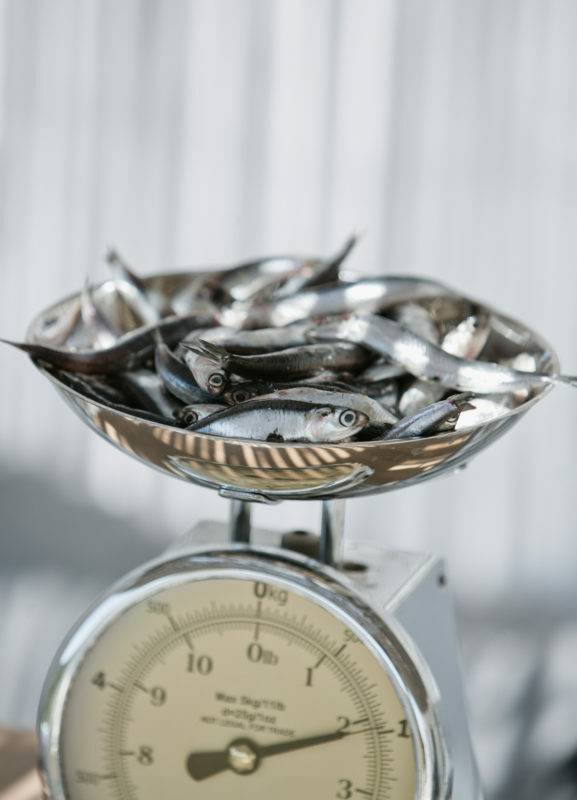 Fold the edges over the fish and filling and wrap securely into a small parcel. Do this for the remainder of the fish. Place a sheet of parchment paper in an ovenproof dish. 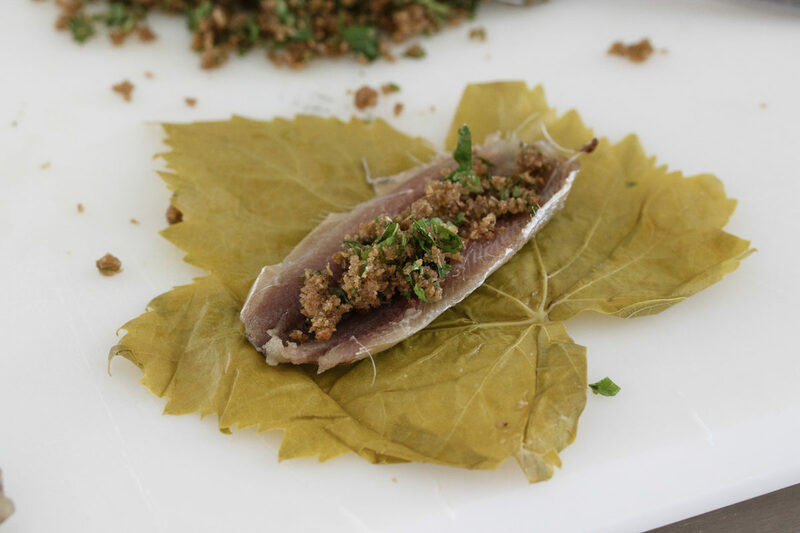 Lay the wrapped fish side by side upon the parchment paper. Drizzle some olive oil over top and grill in the oven for approximately 20 minutes, until they take on a nice colour. 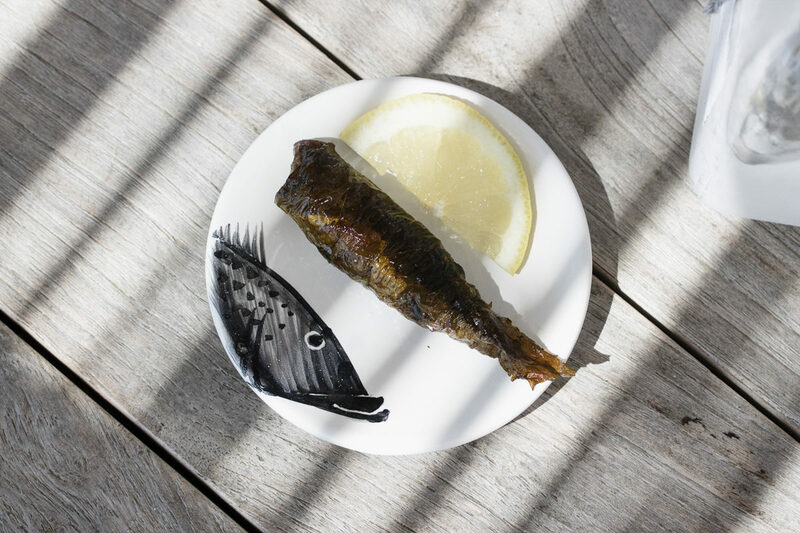 The fish may also be grilled directly in charcoal, but if done this way, take care that the wrapped fish doesn’t burn, i.e. do it quickly and carefully. 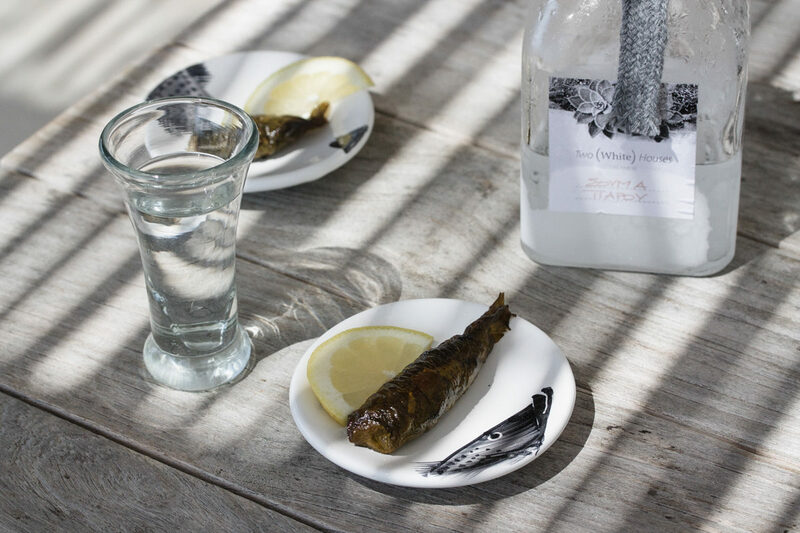 Serve as a meze with ouzo, souma or a chilled glass of white wine. 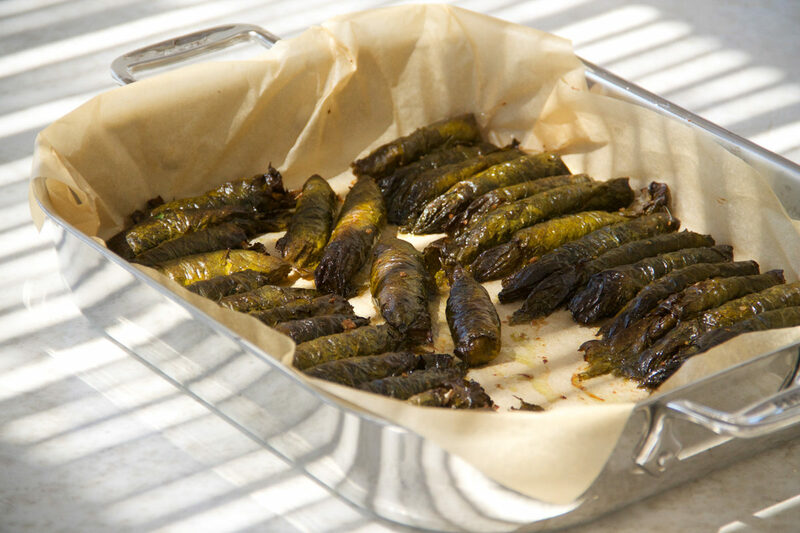 Fresh vine leaves are sold in the markets during harvest time. However, they can be found year-round preserved in brine in either tins or glass jars. If using fresh leaves they need to be softened first by blanching in warm water for a few seconds, then refreshed in cold water (this is done in order that they might retain their colour). 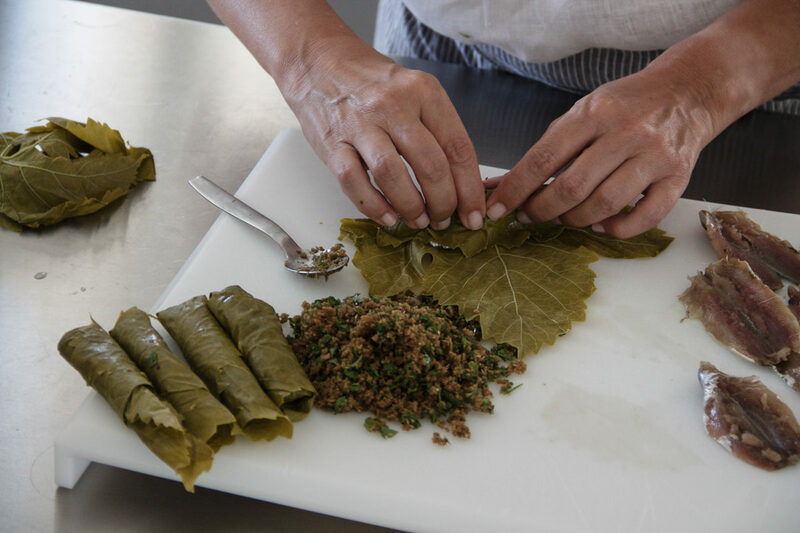 If using preserved leaves from tins or jars, the leaves must be carefully unfolded and soaked in several changes of cold water – for at least an hour – in order to remove the salt.